The Sunnybrook Park Crosstown stop at Leslie will be at surface level. 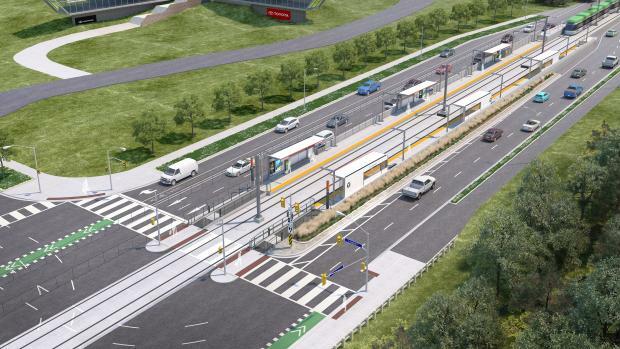 The accessible stop will likely be a parallel side platform, with the stop located on the east side of the intersection of Leslie Street and Eglinton Avenue East. The existing stair connection to Seton Park on the south side of Eglinton East (at the Leslie Street intersection) will remain intact or be replaced for opening day. Metrolinx will coordinate with the City for a new trail connection in the north-west corner.